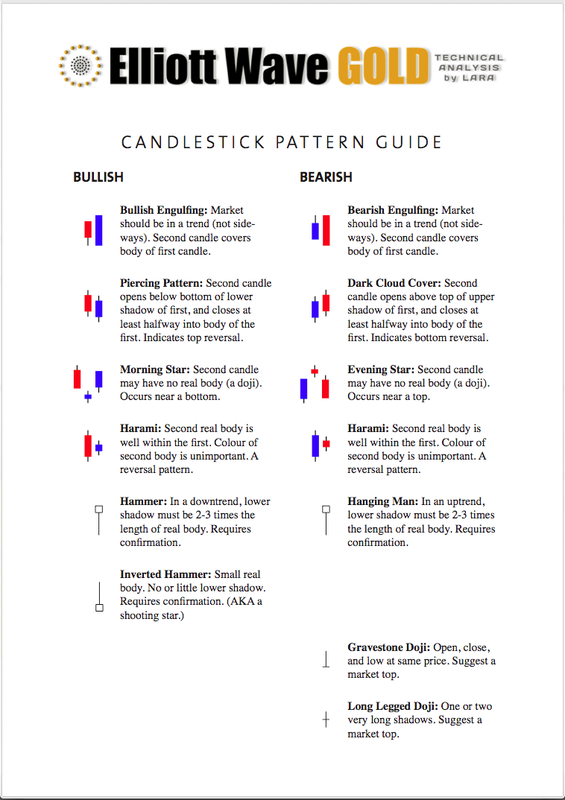 Last week’s analysis expected price to continue to rise to a short term target at 1,451. Price did move higher but has exceeded the target by $34.49. The channel on the hourly chart has remained very useful. While price continued higher it remained within the channel. With this channel now clearly breached I expect the upwards correction is now over and the downwards trend has resumed. This daily chart focuses on the new downwards trend of primary wave C.
Within primary wave C intermediate waves (1) and (2) are complete. Intermediate wave (3) is underway and may have just passed the middle of it. Within intermediate wave (3) minor waves 1 and 2 are complete and minor wave 3 may have just passed the middle of it. Within minor wave 3 minute waves i and ii are complete and minute wave iii is nearing its end. At 1,273 minute wave iii would reach 2.618 the length of minute wave i. Within minute wave iii at 1,284 minuette wave (v) would reach 2.618 the length of minuette wave (i). Because there is no Fibonacci ratio between minuette waves (i) and (iii) I expect we shall see a Fibonacci ratio between minuette wave (v) and either of (iii) or (i). We may now draw a channel about minute wave iii using Elliott’s second technique. Draw the first trend line from the highs of minuette waves (ii) and (iv), then place a parallel copy upon the low of minuette wave (iii). Expect minuette wave (v) to end midway within this channel most likely, or to find support at the lower edge if it gets down there. When this channel is breached by subsequent upwards movement then minute wave iii should be over and minute wave iv should be underway. 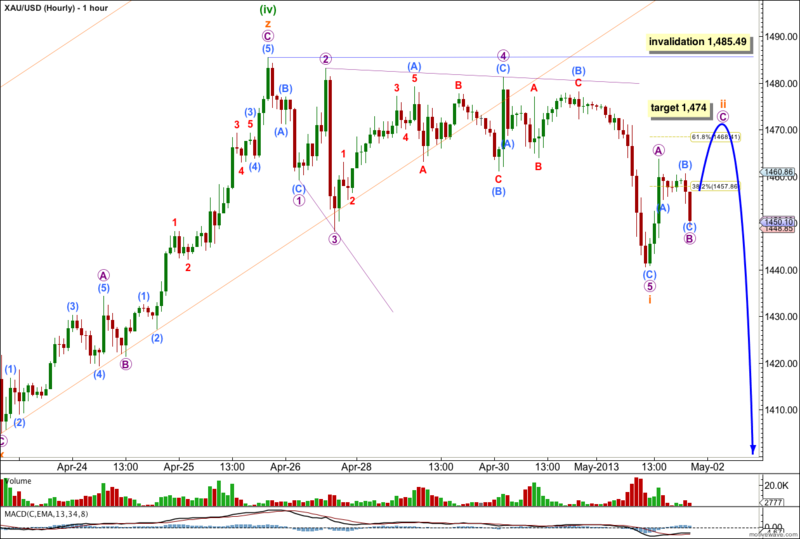 At 1,232 intermediate wave (3) would reach 4.236 the length of intermediate wave (1). At 1,151 primary wave C would reach 1.618 the length of primary wave A. When minute wave iii is complete then the following correction for minute wave iv may not move back into minute wave i price territory. This wave count is invalidated with movement above 1,555.16. Within minute wave iii minuette wave iv may have ended during the last week, $34.49 above the target but well within allowable limits. Price has remained well below the invalidation point at 1,540.24; this fourth wave has not entered the first wave price territory. Because this correction subdivides as a triple zigzag it cannot continue further. If my analysis of this as a triple is correct then minuette wave (iv) is over and minuette wave (v) downwards has begun. Within the third zigzag of the triple labeled subminuette wave z there is no Fibonacci ratio between micro waves A and C.
With the strong trend channel breach of the best fit channel containing minuette wave (iv) it looks likely that the upwards correction is over and the next wave down has begun. So far movement from the end of minuette wave (iv) is very choppy and overlapping, suggesting a leading diagonal. The diagonal is expanding. Within the diagonal micro wave 4 should overlap micro wave 1 price territory, but may not move beyond the end of micro wave 2. Within a leading diagonal subwaves 2 and 4 must be zigzags, and subwaves 1, 3 and 5 are commonly zigzags but may also be impulses. A leading diagonal may not have a truncated fifth wave. This structure fits all rules and guidelines for a leading diagonal. Following a leading diagonal in a first wave position we should expect a deep second wave correction. I would expect subminuette wave ii is most likely subdividing as a zigzag and may end above the 0.618 Fibonacci ratio of subminuette wave i at 1,468.41. 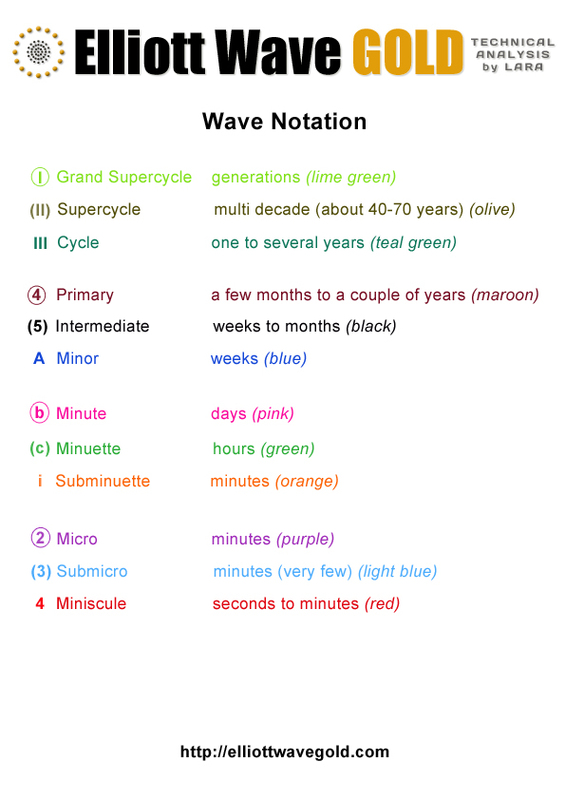 At 1,474 micro wave C would reach equality in length with micro wave A.
Subminuette wave ii may not move beyond the start of subminuette wave i. 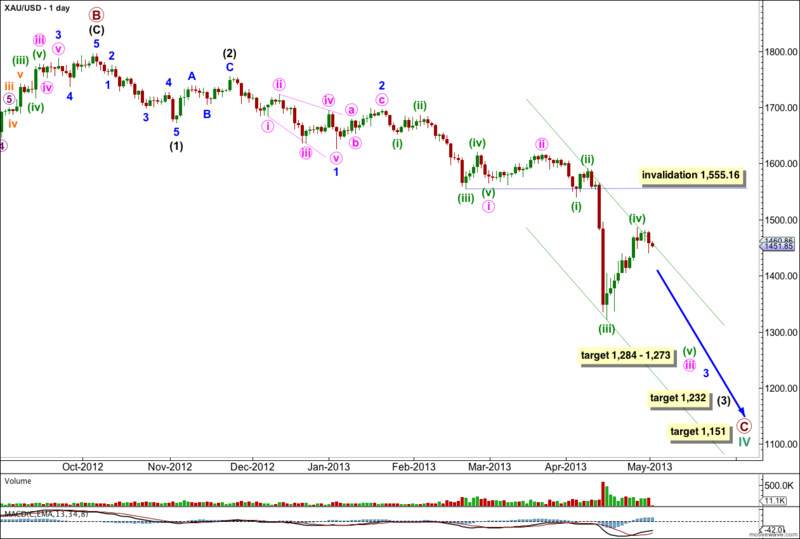 This wave count is invalidated at minuette wave degree with movement above 1,485.49.